TVXQ’s sixth Japanese album ranked 10th on Oricon’s TOP 100 album charts. This is the greatest achievement of any of the currently active Hallyu singers. Oricon posted the yearly charts for album, single and DVD sales (December 24th, 2012 to December 16th, 2013) on its website on the 15th. 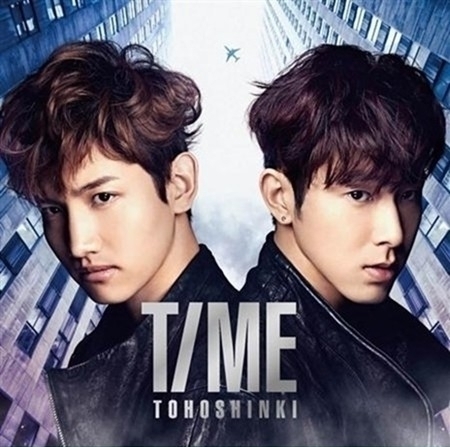 According to the charts, TVXQ’s sixth album ‘TIME’ ranked 10th on the TOP 100 album charts with 298,389 copies sold. ‘TIME’ features a total of 14 tracks, including Japanese versions of ‘Catch Me’ and ‘Humanoids’, as well as songs from previous singles. The album sold 160,719 copies on the first day of its release, putting it at the top of the daily charts. TVXQ was joined by seven other Hallyu singers on the TOP 100 charts. Super Junior’s first full-length album ‘HERO’ was 49th (122,373 copies sold), while G-DRAGON’s ‘Coup D’Etat’ was in 56th place (110,860 copies). Kim Hyun Joong’s first full-length album ‘Unlimited’ came in at 79th place (77,170 copies sold), SHINee’s second album ‘Boys Meet You’ came in at 92nd place (69,010 copies sold), 2PM Junho’s solo album ‘Kimino Koae’ came in at 94th place (68,521 copies sold) and 2PM’s second album ‘Legend of 2PM’ came in at 100th place (64,291 copies sold). A TVXQ forest has been created. 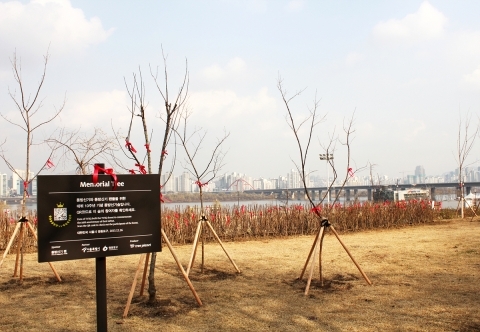 Tree Planet announced that the opening ceremony for the ‘TVXQ forest’, which was created to commemorate the 10th anniversary of TVXQ’s debut, was held on the 16th. The TVXQ forest was created as a project by Tree Planet’s celebrity forest initiative, which teams up with Seoul’s Memorial Tree business and Yeongdeungpo-gu’s tree planting business to create forests with donations made by the fans of various celebrities. The TVXQ forest was funded by the month-long donation drive that took place in September. A large number of international fans participated in the project, reflecting TVXQ’s global popularity. A total of 1,600 fans from all over the world, including Korea, Japan, Southeast Asia and Peru, participated in the event. As the largest celebrity forest till now, the TVXQ forest project collected a total of 42 million Won, much more than what was initially planned. 330 pyeong’s worth of land in Yeoido was covered with 1,200 trees for the first forest, and the second forest is set to be planted overseas. Singer and musical actor Kim Junsu has ended his first ‘December’ performance in success. Chosen as the most anticipated musical of the end-of-the-year season, ‘December’ will feature Kim Junsu playing the role of ‘Ji Wook’, who lives with the pain of the memory of his first love. Depicting the sorrow of a man who has yet to forget his first love, Kim Junsu captivated the hearts of his audience members with a variety of emotions and songs. He has proved yet again that he is the king of the industry through his renditions of Kim Kwang Seok’s ‘If Only Painful Love Wasn’t Love At All’, ‘Because of Love’ and ‘December’. A standing ovation followed the end of the performance. The sorrowed story of a man and a woman mixed with Kim Kwang Seok’s unforgettable music to create a breathtaking moment for the audience. Meanwhile, Kim Junsu will be releasing a special album tomorrow to commemorate the start of ‘December’. The special album will feature Kim Kwang Seok’s most representative tracks, such as ‘December’ and ‘If Only Painful Love Wasn’t Love At All’.